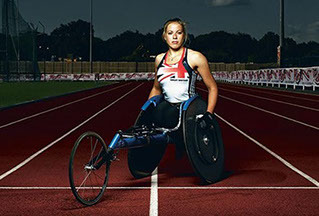 Hannah Cockcroft MBE – Multiple Paralympic/World Champion, Paralympic and World Record holder. Tony Bowman – Multiple British/European/World Masters champion and currently the holder of seventeen British M70/M75/M80 across a range of events and three European M75/M80 hurdles records. Susan Partridge – GB International Marathon runner, representing at the European/World Championships (Team GB) and Commonwealth Games (Scotland). Mark Johnson – Multiple British/European/World Masters Pole Vault Champion and holder of five current British M40/M45/M50 pole vault records. Julien Gittens – Multiple British Masters Long/Triple Jump winner and current European Masters M55 Triple Jump Champion. 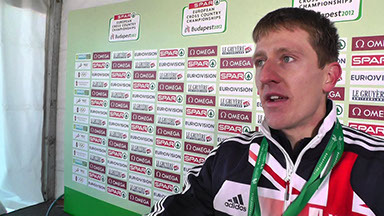 James Finney – GB Combined Events International, current England Athletics Decathlon and indoor Heptathlon Champion. Gordon Benson – Former GB International at Cross Country/Track and current International Triathlete. 2015 European Games Triathlon Champion and represented Team GB at the 2016 Rio Olympics. Claire Duck – GB Cross Country International and holds club records for 3000m and 5000m. Stevie Stockton – GB Cross Country International and 10000m club record holder. Ossama Meslek – 2018 Italian U23 indoor 1500m/3000m and BUCS indoor 1500m Champion. Ethan Hussey – Multiple Yorkshire/Northern/English Schools/England age group Champion and holder of the club record for U15 1500m. Emile Cairess – Current Yorkshire/Northern Cross Country title holder and BUCS 5000m champion. Rhea Southcott – English Schools/UK Schools Games U17 Shot champion 2017 and club record holder for U17/U20 Shot. Tommy Dawson – Yorkshire/Northern & National U15 Cross Country Champion in 2016 and English Schools/SIAB Schools U15 Cross Country Champion 2017. Emma Clayton – GB International Mountain Runner. Georgia Malir – GB International Mountain Runner. Alice Leake – GB Orienteering International. Adam Osbourne, Matthew Harrison, Pat Schofield, Tracey Lister, Reece Davison and Sarah-Jane Gannon. Hannah is one of the most prolific members of Team GB with a multitude of medals and world records. She is currently the T34 World Champion and Paralympic Champion at 100m, 400m and 800m. Hannah also holds the world records for T34 100m, 200m, 400m, 800m and 1500m. For a complete history of Leeds City Athletics Club, please click here.